Course Website: Official Website - Visit Mirabel Golf Club's official website by clicking on the link provided. 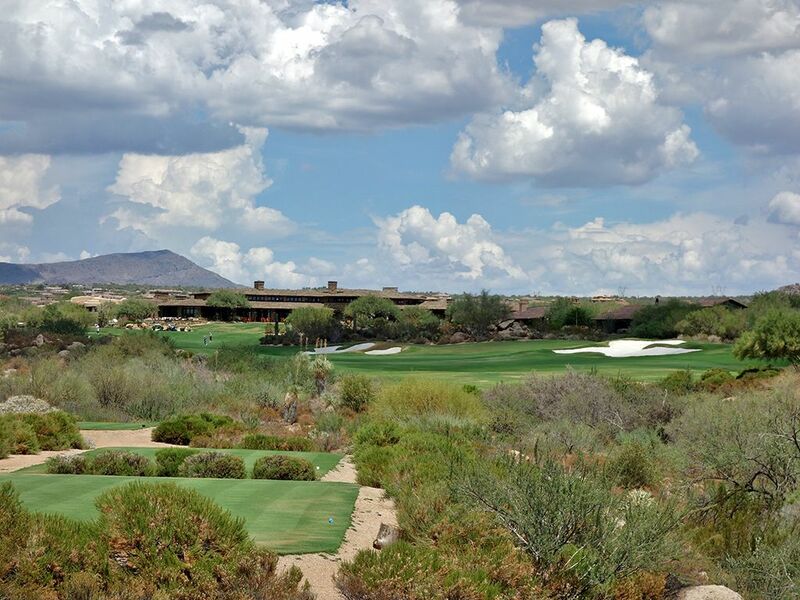 Accolades: Ranked 16th in Arizona on Golf Course Gurus' Best in State list. What to Expect: Like most Discovery Land properties, Mirabel is a Tom Fazio design that is part of an upscale residential development. 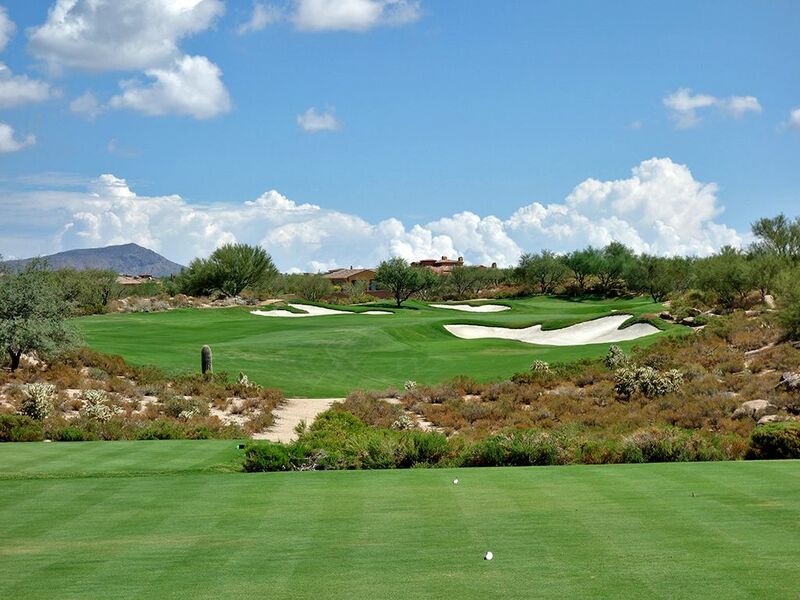 Originally slated as a Greg Norman design that was scratched by new management at the last minute due to its demanding nature, Mirabel is an extremely playable golf course with wide fairways, spacious greens, and little trouble to get in besides the bunkers. 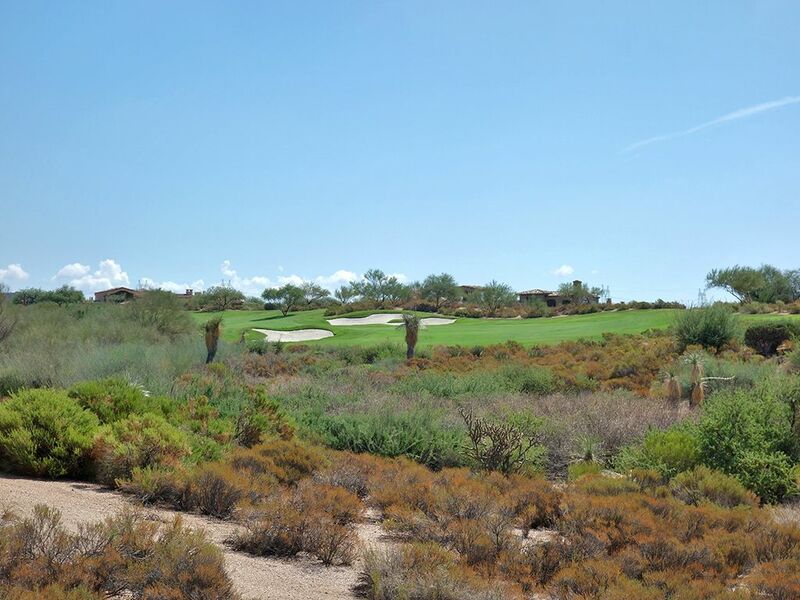 Like most desert layouts, the course requires several carries off the tee to clear the sand and brush areas prevalent in the region which occasionally must also be cleared on approach shots into the greens. The similar look and feel of the course and surrounding terrain causes holes to run together after a while which is why the 10th hole stands out so much with the lone water hazard at Mirabel. 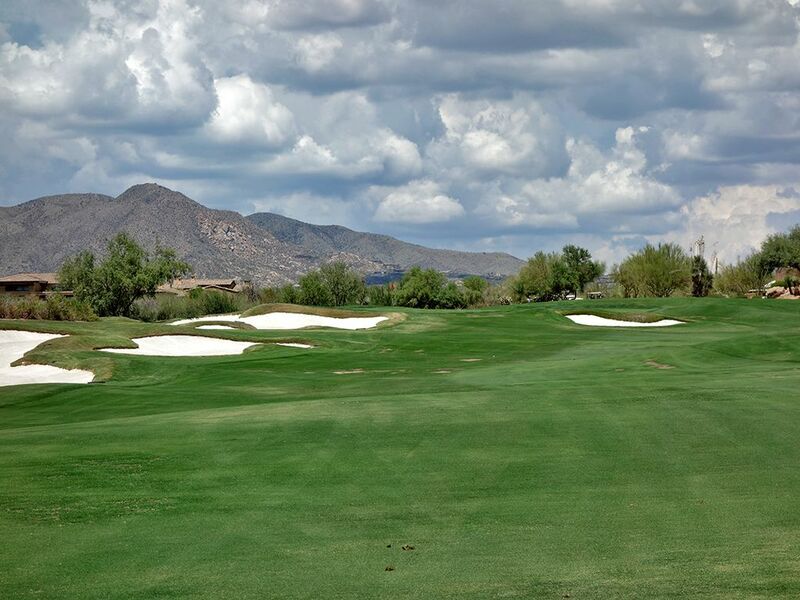 While the course will often be characterized for being playable, the architectural feature that stands out most is the length and challenge of the par fours. Fazio tests you with his two-shotters with the 4th and 13th being especially challenging. Overall Fazio did a fine job here, but it is far from his best work. Ultimately, what the club does best is offer a high level service experience. 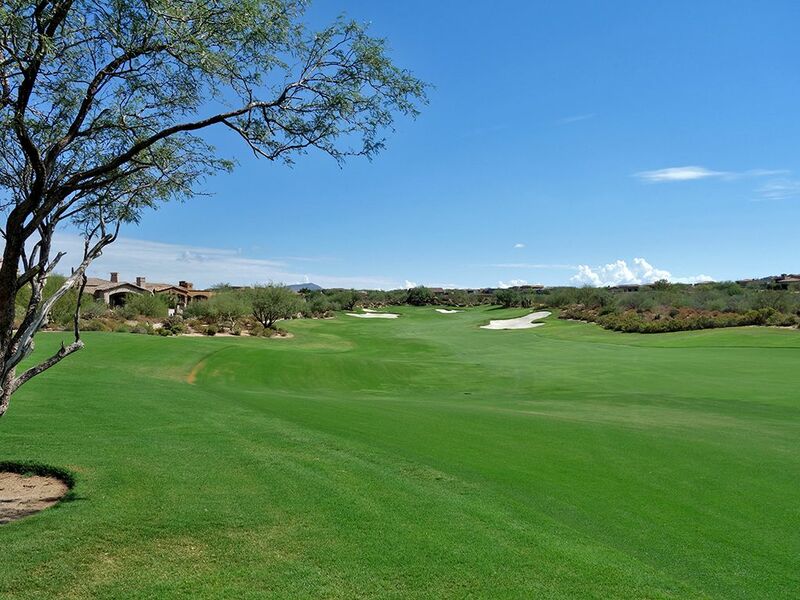 From the caddies to the on-course chefs to the pristine conditioning, Mirabel is all about taking care of its members and guests from the moment they enter the gate to the final putt on the 18th hole. 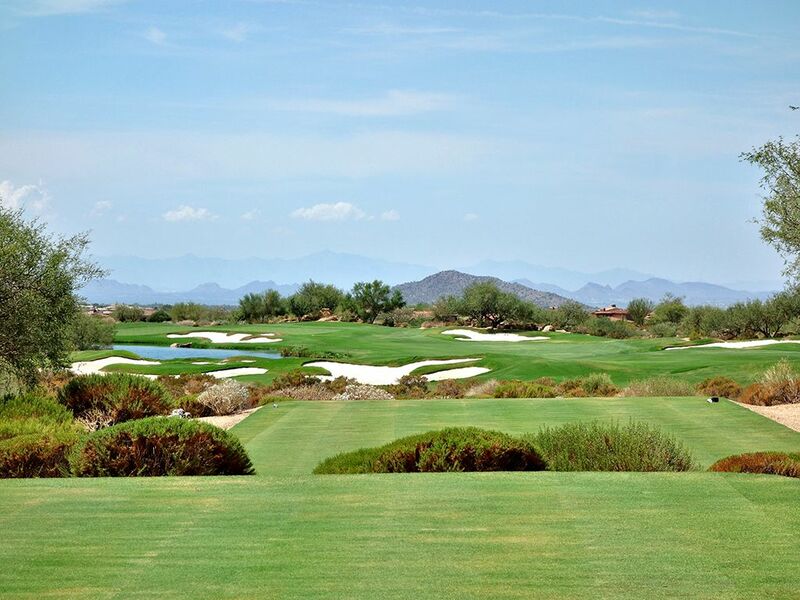 Signature Hole: 10th Hole – 449 Yard Par 4 – The lone water feature on the course is found on the 10th hole and instantly makes it the most memorable offering during your trek through the desert landscape. The tee shot plays between a pair of fairway bunkers that frame each side of the short grass before the fairway starts to bend slightly left and bring a large pond into play. The left side of the putting surface sits right on the water so attacking a pin tucked on that side of the green is for suckers and players in the zone only. A draw that starts over the opening of the green on the right side and works its way towards the flag is the ideal play, and if the ball doesn't draw you have a nice flat area to chip from to save par. 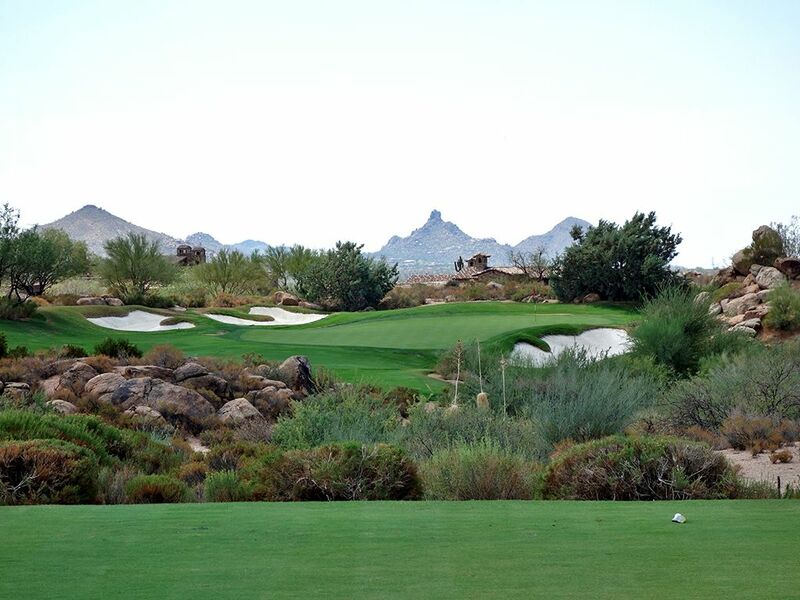 Best Par 3: 11th Hole – 178 Yards – The pin placement is everything on this mid length one-shotter framed by boulders on the right and bunkers on the left. The large slope in the green makes attacking a back right pin really difficult while front left pins should have players feeling greedy. What you can't do is miss short right or wide right as your ball will end up in a waste or sandy area that will be brutal to try and save par from. 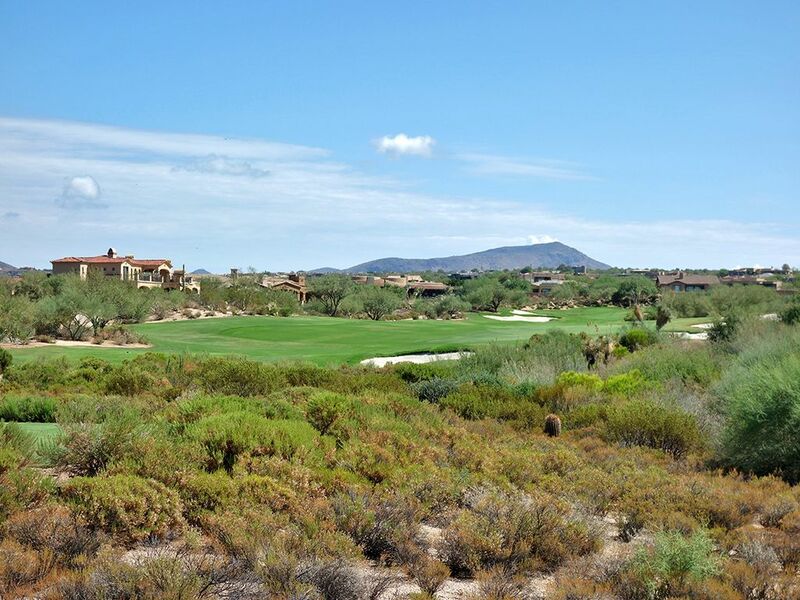 Expansive views are offered from this tee to add some eye candy to the experience. Best Par 4: 18th Hole – 474 Yards – The closing hole at Mirabel is also the longest two-shotter on the course. The aiming point off the tee should be just inside the fairway bunker on the right that sits 280 yards from the back box which will set up the best angle for attacking the green. The approach shot is tough as only a small opening is afforded in the front of the green due to the large bunker on the left and small circular bunker on right. The miss is long right where a bailout area is offered if you want to test your short game skills one last time before heading to the parking lot. With the green sitting ten feet above where you'll likely be hitting your approach shot from, you'd be wise to take an extra club in an effort to make sure you have enough juice to reach the putting surface. This is just a strong finish that will require you to execute well until the bitter end. Best Par 5: 2nd Hole – 571 Yards – The tee shot on the 2nd is all about missing the 100 yard long bunker that runs along the right side of the fairway. Successfully doing that will give you a decision on whether to try and reach the green in two or whether to layup 100 yards short of the green which will place you nicely between the fairway bunkers defending this hole. A large bunker fronts the green so going for it in two requires staying up the left side and hitting a baby cut in towards the short grass. Going right of the greenside bunker could yield a favorable kick off the side hill but if the rough is grown up then you'll be faced with the dreaded downhill lie chip without a lot of green to work with. Like all of the holes at Mirabel, managing the bunkers is the recipe for success. Birdie Time: 5th Hole – 307 Yard Par 4 – After getting beat up on the 4th hole, it is time to exact revenge with a birdie here. 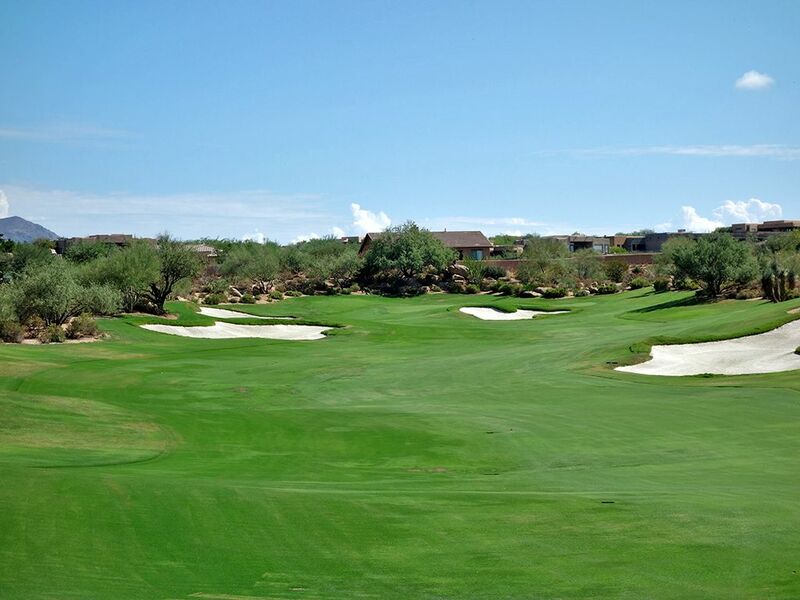 On a direct line with the green a 285 yard drive will find the front edge and give yourself a chance to roll in an eagle or at least two putt for a birdie. Two bunker pinch the front of the green and leave a narrow entrance into the putting surface so you'll have to be pretty precise if going for the gusto. 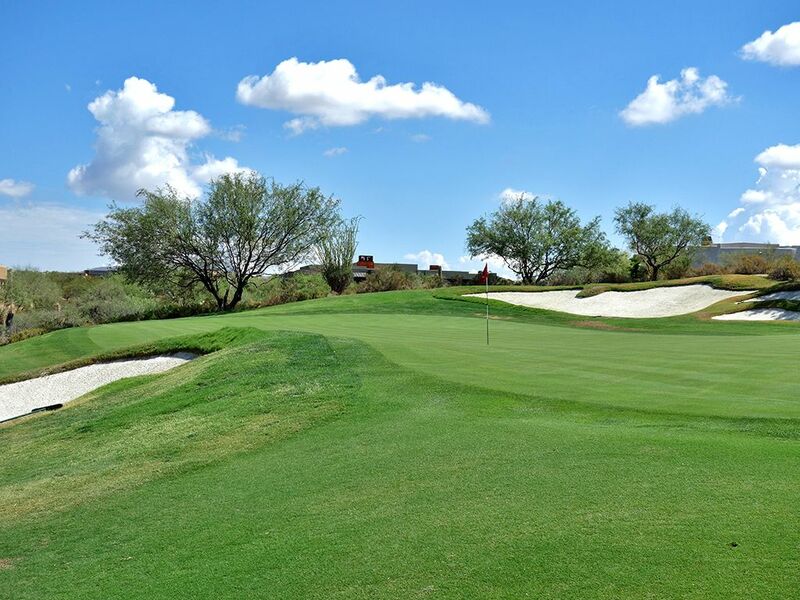 If you decide to layup there is still a great chance to card a birdie here by hitting a 215 yard tee shot to the fattest part of the fairway and leaving yourself a short wedge shot into the flag. Be sure to account for the change in elevation with your approach because this hole plays uphill the whole way home. 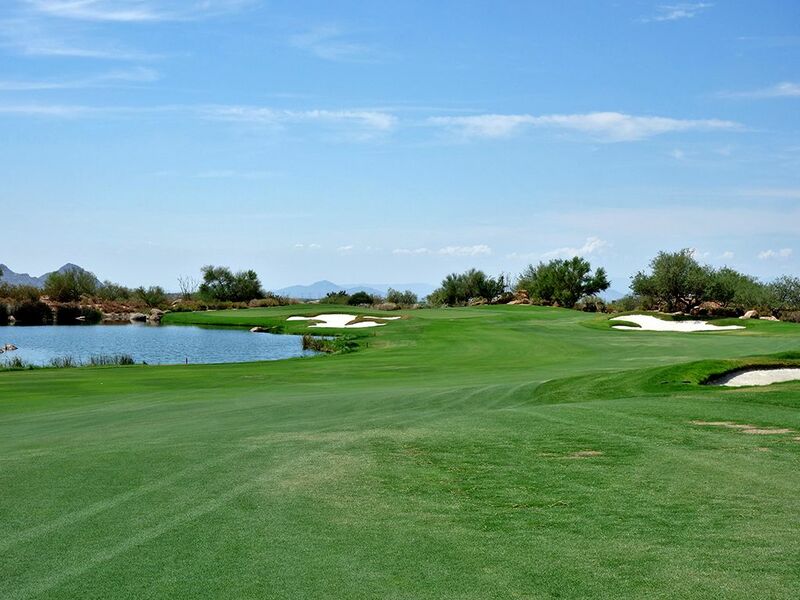 Bogey Beware: 4th Hole – 472 Yard Par 4 – Two yards shorter than the longest par four on the course but also playing uphill, the 4th is a man's man type of hole. A 275 yard carry is required to cover the bunker on the left and try to shorten up this hole, but beware, if you leave it in this bunker then your chances to reach the green in regulation just went up in a puff of smoke. Playing your tee shot to the right side of the fairway will provide the best angle into the green but also require more length to reach. The putting surface is 2.5 times longer than it is wide so accuracy is paramount to find the putting surface while avoiding the bunkers that flank either side of the green. This is one stout hole, but Fazio offers a quick reprieve on the next hole so don't despair.